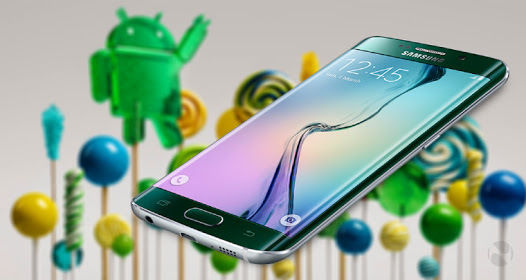 Android 5.1 Lollipop is rolling out to Samsung Galaxy S6 and Galaxy S6 Edge. The update brings few control over notifications, device protection like factory reset, some performance improvement and few bug fixes. If you are having Galaxy S6 or Galaxy S6 Edge device with Sprint then probably you would be getting the Android 5.1 Lollipop update soon. Sprint's support page has Android 5.1 written for Samsung Galaxy S6. T-Mobile rolled out Android 5.1.1 Lollipop for Samsung Galaxy S6 and Galaxy S6 Edge earlier this month and Verizon Motorola Moto X 2014 Android 5.1 Lollipop was rolled out today. If you can't wait then check the update by Going to Settings > About phones > System updates.